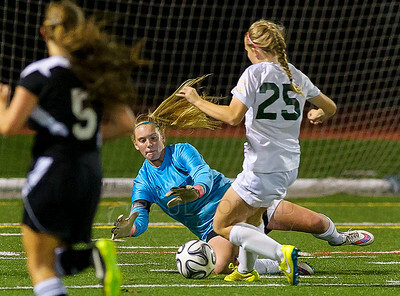 © Paul Conrad/The Bellingham Herald - Meridian goalkeeper Sydney Gospodinovich (1) dives for the ball to stop Sehome's Hannah Moore from scoring in the second half in varsity girls' soccer on Thursday evening Oct. 8, 2015, at Civic Stadium in Bellingham, Wash. Sehome defeated Meridian 2-0. 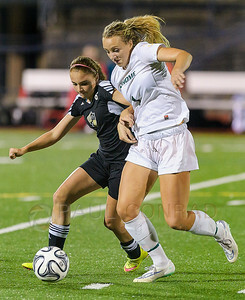 © Paul Conrad/The Bellingham Herald - Sehome's Lyla Pagnotta (7), left, and Meridian's Emily Stuth (7) battle for possession during the second half in varsity girls' soccer on Thursday evening Oct. 8, 2015, at Civic Stadium in Bellingham, Wash. Sehome defeated Meridian 2-0. 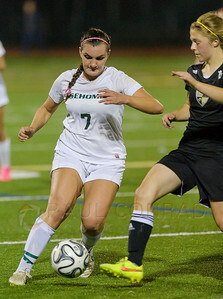 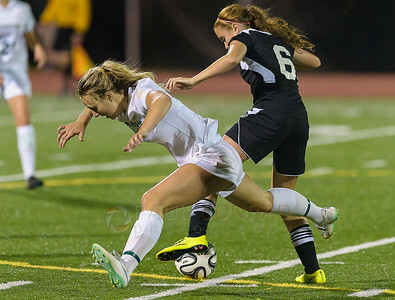 © Paul Conrad/The Bellingham Herald - Sehome's Lyla Pagnotta (7) dribbles around Meridian's Emily Kooiman (15) during the first half in varsity girls' soccer on Thursday evening Oct. 8, 2015, at Civic Stadium in Bellingham, Wash. Sehome defeated Meridian 2-0. 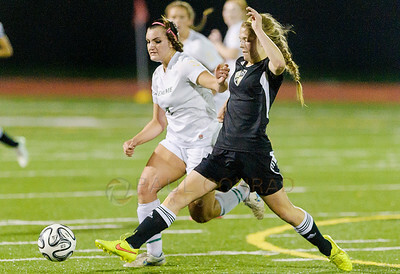 © Paul Conrad/The Bellingham Herald - Meridian's Micaela Pimento (6), right, keeps Sehome's Andrea Zucchi (14) from the ball during the first half in varsity girls' soccer on Thursday evening Oct. 8, 2015, at Civic Stadium in Bellingham, Wash. Sehome defeated Meridian 2-0. 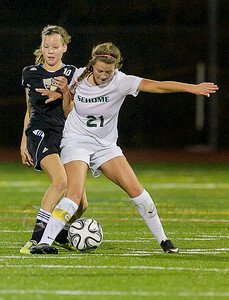 © Paul Conrad/The Bellingham Herald - Sehome's Abby Webster (21) keeps Meridian's Lindsey Moore (10) from the ball during the first half in varsity girls' soccer on Thursday evening Oct. 8, 2015, at Civic Stadium in Bellingham, Wash. Sehome defeated Meridian 2-0. 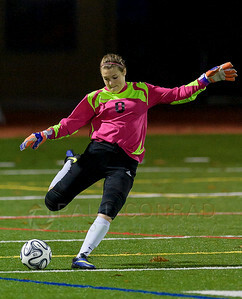 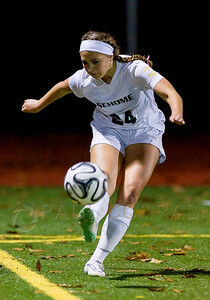 © Paul Conrad/The Bellingham Herald - Sehome goalkeeper Nicole Carlson (0) commits a goal kick against Meridian during varsity girls' soccer on Thursday evening Oct. 8, 2015, at Civic Stadium in Bellingham, Wash. Sehome defeated Meridian 2-0. 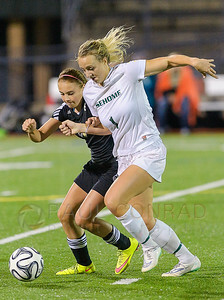 © Paul Conrad/The Bellingham Herald - 13m 8s Sehome's Fiona Dawson (8), right, stops the ball from Meridian's Victoira Melnyk (13) during the first half in varsity girls' soccer game on Thursday evening Oct. 8, 2015, at Civic Stadium in Bellingham, Wash. Sehome defeated Meridian 2-0. 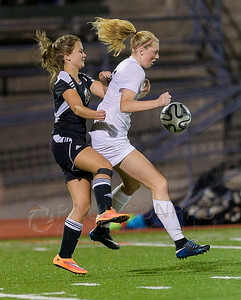 © Paul Conrad/The Bellingham Herald - Meridian's Lindsey Moore (10), left, and Emily Kirkman (23) attempt to stop Sehome's Andra Zucchi (14), right, during the second half in varsity girls' soccer game on Thursday evening Oct. 8, 2015, at Civic Stadium in Bellingham, Wash. Sehome defeated Meridian 2-0. 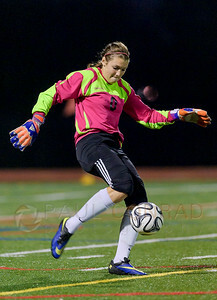 © Paul Conrad/The Bellingham Herald - Sehome goalkeeper Nicole Carlson (0) boots the ball out of the goal box during the first half in varsity girls' soccer against Meridian on Thursday evening Oct. 8, 2015, at Civic Stadium in Bellingham, Wash. Sehome defeated Meridian 2-0. 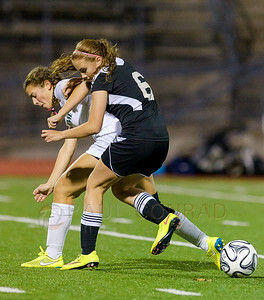 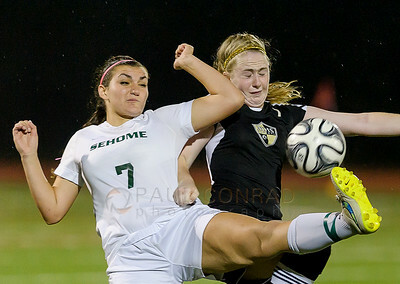 © Paul Conrad/The Bellingham Herald - Meridian's Micaela Pimento (6) battles with Sehome's Christina Funk for possession during the second half in varsity girls' soccer on Thursday evening Oct. 8, 2015, at Civic Stadium in Bellingham, Wash. Sehome defeated Meridian 2-0. 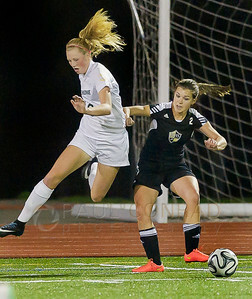 © Paul Conrad/The Bellingham Herald - Meridian's Emily Brackenreed (2), right, protects the ball from Sehome's Fiona Dawson (8) druing the first half in varsity girls' soccer on Thursday evening Oct. 8, 2015, at Civic Stadium in Bellingham, Wash. Sehome defeated Meridian 2-0. 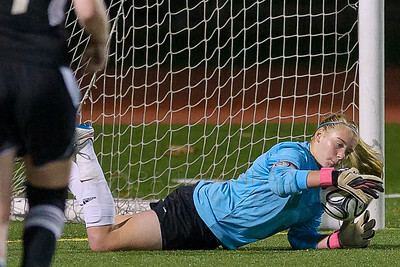 © Paul Conrad/The Bellingham Herald - Meridian goal keeper Sydney Gospodinovich stops a goal during the second half against Sehome in varsity girls' soccer on Thursday evening Oct. 8, 2015, at Civic Stadium in Bellingham, Wash. Sehome defeated Meridian 2-0.